Do you want your child to love nature and care about the environment? Whether you live in an urban, suburban, or rural setting, these books and ideas will inspire you and your child to observe nature. 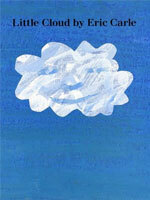 Little Cloud, by Eric Carle. 2001. Little Cloud drifts away from his friends and turns into a lamb, a rabbit, a clown’s hat, and then a clown before joining a large rain cloud. Your child will enjoy guessing which shape the cloud will turn into next. A simple story that encourages children to lie on their backs and look at the clouds. Available in English. Can be purchased as a hardcover, paperback, and board book. Illus. by Laura Dronzek. 2009. A young girl wonders about the birds she sees and hears outside her window. What might the sky look like if birds made colors with their tails? Where did the seven birds that were just on the telephone wire fly? 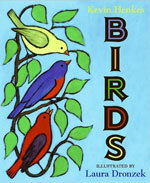 A mix of facts about birds with illustrations and prose that will awaken the imagination. 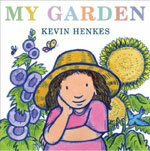 My Garden, by Kevin Henkes. 2010. A girl gardens with her mother but in her mind,seashells and chocolate rabbits are growing in the ground. The book alternates pictures of the mother’s garden with pictures of the garden of her imagination. About Habitats: Wetlands, by Cathryn Sill. Illus. by John Sill. 2008. This book uses beautiful illustrations and words to show the types of plants and animals that live in wetlands. The author describes why these habitats are important. Also in this series: About Habitats: Deserts and About Habitats: Mountains. Are You a Ladybug? by Judy Allen and Tudor Humphries. 2003. This book, part of the Backyard Books series, begins, “Are you a ladybug? If you are, your parents look like this, and they eat aphids.” The storytelling and watercolor illustrations will engage your child in learning about these fascinating creatures. Also from the Backyard Books series: Are You a Butterfly?, Are You an Ant?, and Are You a Spider? Enjoy a nature walk. As you walk around your block, what do you see? Birds in the sky? Bugs on the ground? Clouds overhead? Wherever you live, a walk around the neighborhood offers many opportunities to chat about your findings, big and small. Imagination, inspired by nature. Talk with your child about the ways nature can inspire us to imagine. Lie on your backs outdoors and look at the clouds. Give your child paper and crayons so he can draw what he saw. Take photos. Go for a discovery walk and bring a camera to take photos of plants or animals. 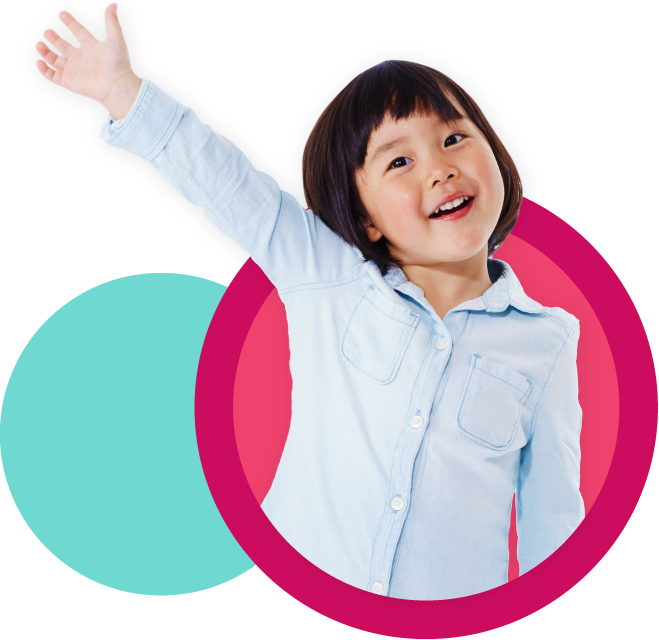 Your young child can point out her discoveries for you or an older sibling to capture with the camera. If your child is old enough, let her snap the pictures herself. Later, look at the photos on screen or print them out and talk about what you discovered. Source: Adapted from S. Friedman, 2010, "Inspiring Nature Observations," Now Read This!, Teaching Young Children 3 (3): 3.